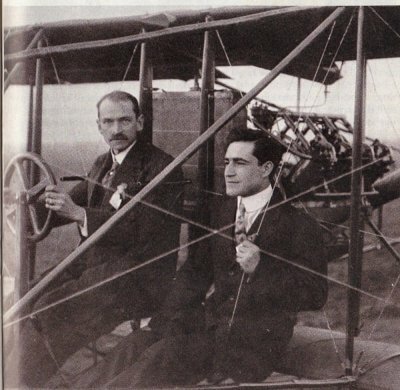 Author John Zobel of Seattle visited Martin Mitchell December 5, 2016, to fill in his mental picture of Jerome Fanciulli, publicist of early flight, who worked for aircraft pioneer Glenn Curtiss from 1909-1912. Zobel came to Bluemont in search of insights on Fanciulli--to better understand what went on at a personal level among the players in the ambitious, risky, fast-moving, acrimonious, lawsuit-riddled, small world of those who explored the development of man-guided flight. 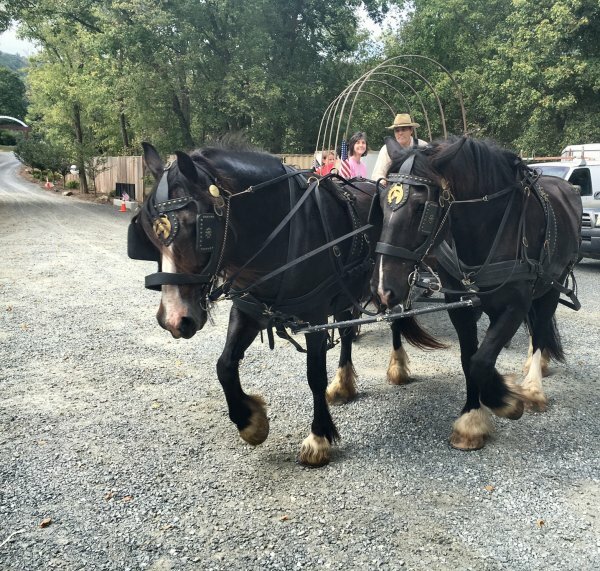 This year's Bluemont Fair featured touches of history (as well as American Indian pre-history). See the "Lives and Times of the Snickersville Academy"
The newly restored Snickersville Academy, built in 1825 as Bluemont's first school and church, will be open to visitors Saturday and Sunday from 10-4 during the 2016 Bluemont Fair, September 17-18. Come and see our restoration! The Heritage Committee of the Bluemont Citizens Association and other local history-minded organizations have joined forces with Friends of Bluemont to bring out the stories behind the memorable buildings of Bluemont. The bright blue banners you see all over Bluemont mark the dates of our most historic buildings. Hand maps, a Walking Tour of Old Bluemont, guide you to the major points of historical interest. Use your smart phone to scan QR code at bottom of card for more details on each place. During the Bluemont Fair, you can pick up this free map at the E.E. Lake Store and the Bluemont General Store. 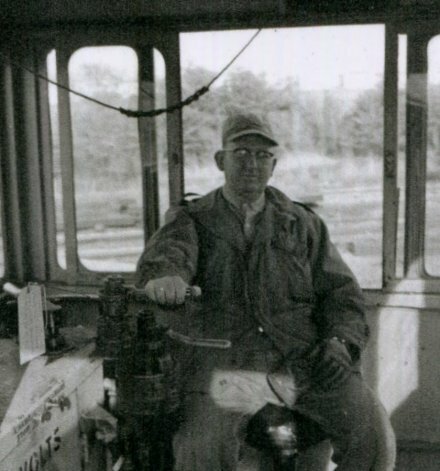 Among the many engineers who drove the Washington and Old Dominion Railroad was Ryland "Bert" Ruble, pictured at the control, right. The train connected Northern Virginia to Alexandria during the late 1800s and the first half of the 1900s. Bluemont’s Jerome Fanciulli is an example of how local history sometimes intertwines with history of the country and the story of technology. A few Bluemonters today still remember Mollie Weadon, who lived in the old stone Carrington House. She housed and fed travelers and summer guests in early decades of the 20th century until her death in 1944. 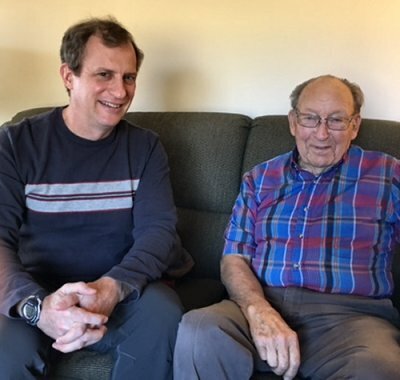 .....Genealogical curiosity led coauthor of this article, Mark Weadon, who is a great-great-great grandson of Ashford and Laurinda Weadon, to visit Bluemont several years ago. We know that William Clayton founded Snickersville—now known as Bluemont—at the turn of the 19th century. 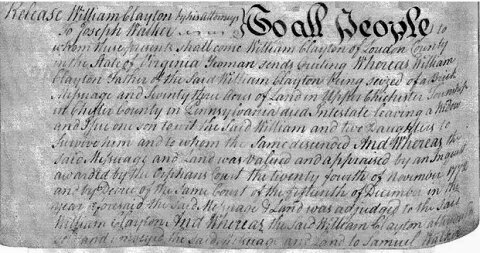 But who was William Clayton? Where did he come from? How long had his family been in America? Was he from the well-known Quaker Clayton family of Pennsylvania? Snickersville Academy, May 16, 2015. Honorees: Susan Freis Falknor (Friends of Bluemont), Rev. 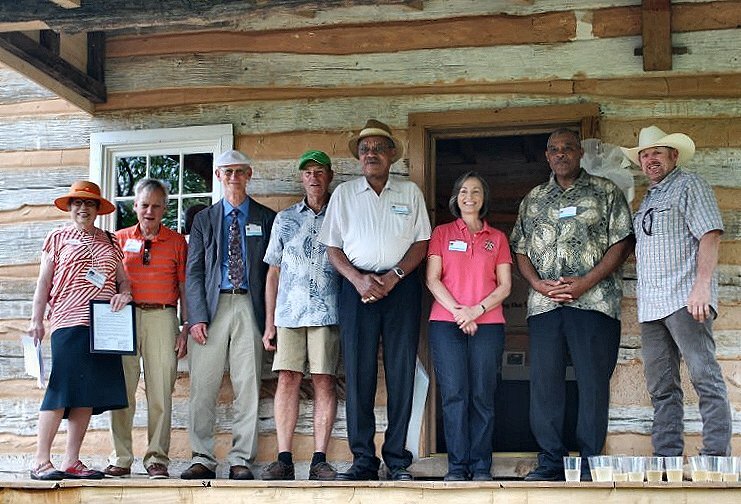 Wesley Corber (Bluemont United Methodist Church), Don Coram (descendant of Amos and Elizabeth Clayton), Mark Zalewski (Friends of Bluemont Vice President for Restoration), Ernest Gibson (descendant of Susie Neal) Janet Clarke (Loudoun County Blue Ridge Commissioner), Courtney Gibson (Susie Neal descendant), and Allen Cochran (historic building restorer). Note that the Gibson brothers were born in the cabin during Susie Neal's tenure there, the 1940s to the 1970s. Glasses of champagne poured for toast--lower right. Thanks to Joe George, a descendant of Bluemont village’s founding family, William and Sarah Clayton, we have received a copy of a historic meeting notice. 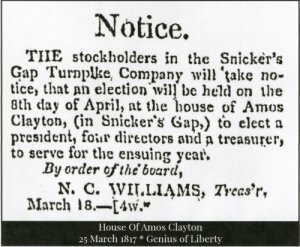 The notice in the Genius of Liberty newspaper announces the 1817 meeting of the board of the country’s first operating turnpike, at Bluemont’s historic Clayton Hall. This candid photo captures a teen-age Gladys Ashby, one morning in Bluemont, around 1943 or 1944. 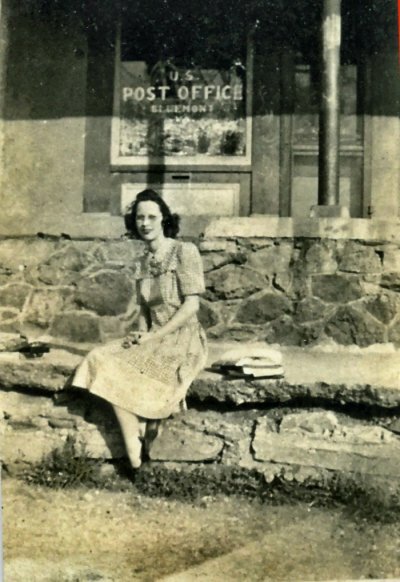 She sits in front of Bluemont's historic E.E. Lake Store, where the U.S. Post Office was located at that time. Her schoolbooks are piled up beside her. She seems to be wearing glasses. 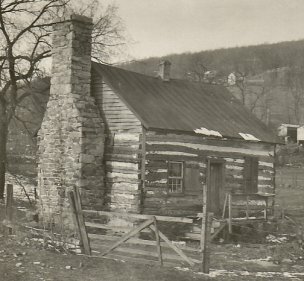 Two families made their home in the Snickersville Academy in the 1930s and 1940s, before Susie Neal came in in the mid-1940s: These were the Costellos (pronounced COST-el-los) and Mrs. Bessie Carter. 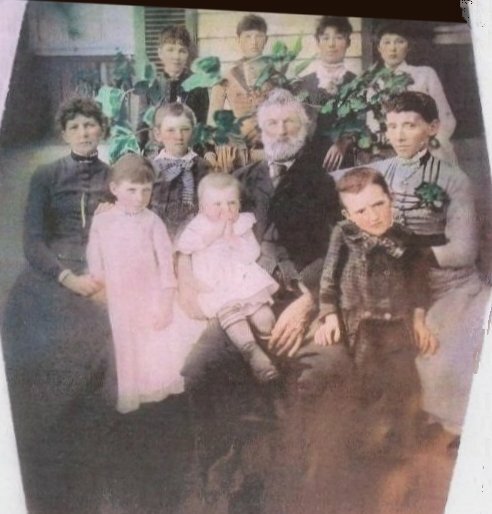 Long-time Bluemonter Martin Mitchell remembers these families from his childhood. Bud and Molly Costelllo lived in the Snickersville Academy, Bluemont’s first school and church, in the late 1930s and early 1940s. 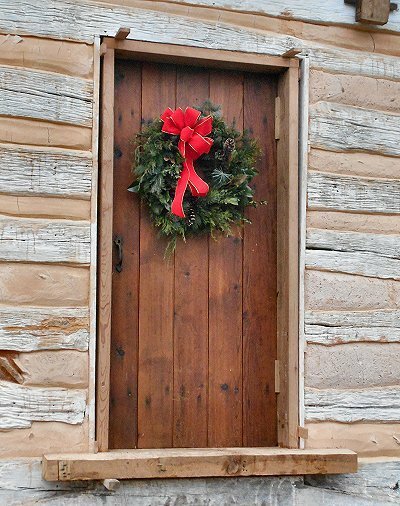 The Snickersville Academy got a new (restored) front door for Christmas, thanks to Mark Zalewski and Alan Cochran. The thoughtful gift arrived just in time to move the wreath (donated by Bluemonter Joy Peltier) from the chimney wall over to the door. DON'T MISS the story of a Snickersville Academy Christmas (December 19 post, below) by Ronn Spinner, a great-great grandchild of long-time Academy resident, Susie Neal. At Grandma's house it was not much emphasis put on the so called glitter of the Christmas season. All that really mattered was the reason for the season. It was more important to give than receive. Putting up a tree to see how it looked after all the trimming brought so much joy and unity to the family. Walks up and down Snickersville Pike, admiring the decorations and sights, was our way of having fun. How are you? Have'nt spoken for quite some time. So much has taken place in my life at such a fast pace I find myself lost here and there. But because of my faith in God and good, I always bounce back. Our dear brother Rocky visited the cabin [Snickersville Academy] around late September, [at the Bluemont Fair] with Aunt Susie [Sue Gibson Colbert] and some of my other relatives. I did not make it due to other obligations, although I wish I had come. Something strange was taking place all along, beyond mere human capacity. Well Mrs. Falknor, .. our dear brother passed three days later at the young age of 56. We have pictures of his last visit to the cabin enlarged and he was waving from the window of the cabin as if he knew he was going home to be with mom. That was October the eighth! Dad passed just recently also only three weeks later, and he often talked about the cabin. My mind often goes back to my youthful days of Bluemont and I see Rocky and all of us running up & down the pike heading to what was called Mr. Mann's grocery store, cashing in pop bottles for penny candy and pop. 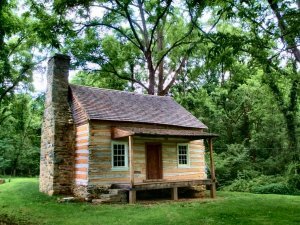 A log cabin gets its strength--not only from the heavy tree trunks of the walls--but also from the daub between them, reinforced with stones called "chinkers." During the 2014 Bluemont Fair, this lesson was brought home to children who visited Bluemont's first school and church. On Friday, August 15, fourteen children ages five to eight walked from the Bluemont Community Center to the Snickersville Academy, accompanied by teacher Lynn Harris, parent Christiana Boucher, and Friends of Bluemont President Susan Freis Falknor. They met log craftsmen Justin LaMountain and Eric Westergard. They listened carefully as Justin explained the pioneer technique of chink and daub at Bluemont's first school and church, now being restored by Friends of Bluemont. 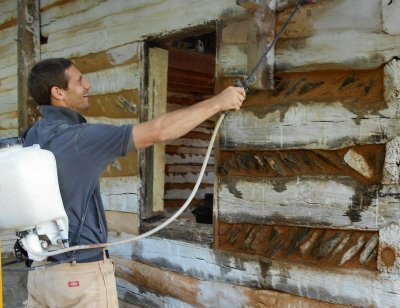 The chink and daub w ork to seal the log walls of the Snickersville Academy--heading for completion this summer--gives, as Justin LaMountain remarks--"a new meaning to the words, 'restoration using local materials.'" 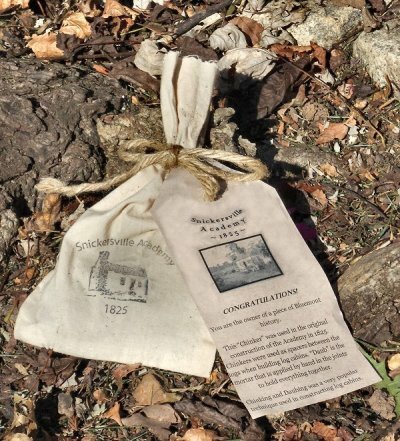 A historic sampler has come to light from the earliest days of Snickersville, now called Bluemont. 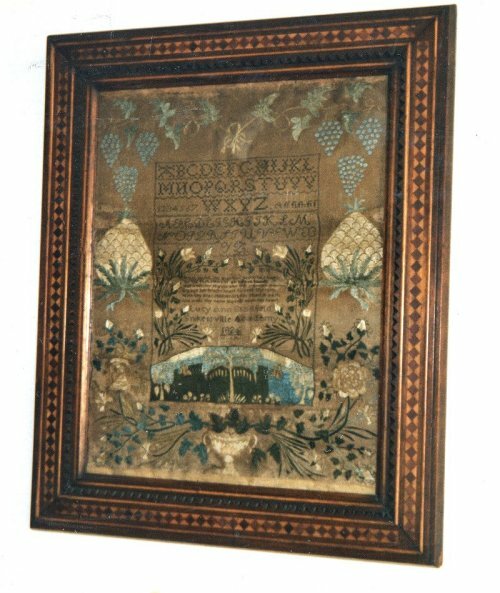 The elaborately embroidered sampler is decorated with the alphabet in print and script as well as the numerals, festooned with grapes, pineapples, rosebuds, ivy vines, and a weeping willow tree. It's Official, Bluemont.... We're Historic! Three new landmark signs, plus one installed near Aldie in 2012, reflect many years of behind-the-scenes work by community leaders. The large, die-cast metal signs, readable from a car or on foot --perform well in transmitting a lot of history quickly. This picture shows a little great-great-granddaughter of Susie Neal, the beloved Black housekeeper and cook who lived in the Snickersville Academy building from the 1940s through the 1970s. On a recent visit to Bluemont, the little girl tried out this antique rocking chair. According to Ronn Spinner, Susie Neal's grandson, this was his grandmother's favorite chair. 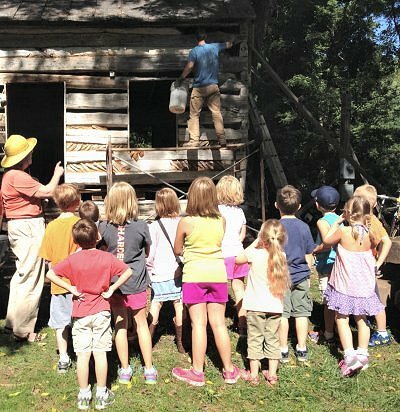 Several of the grandchildren of Susie Neal, now themselves grandparents, plan to come to the Snickersville Academy during the Bluemont Fair (September21-22, 2013) to tell stories of visiting their grandmother in Bluemont as children. The hand crafted rocker was donated to Friends of Bluemont by Don and Linda Corley, who lived in Bluemont for many years. See story by Margaret Morton in Leesburg Today. Born in 1930, Martin Mitchell is one of the village's longest-term residents. 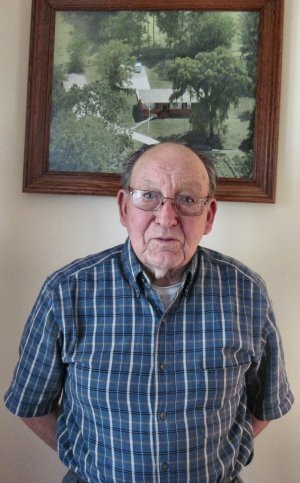 He is reputed to know more about what happened in Bluemont over the past eight decades than perhaps anyone else. In a January 2013 interview, he talked about a childhood in the Great Depression; his joyous marriage to "the girl next door," Betty Allder; how he obtained his homestead in Bluemont; and his family life with daughter Sandy Mitchell Cochran, grandchildren, and great-grandchildren. Left: Mary Scott and neighnborhood children play at the Scott's Clayton Hall Road childhood home. See letter on Marie Scott in Feb 4, 2012 Blue Ridge Leader. Born in 1925, raised in Airmont, schooled in Bluemont, and now a resident of Berryville-- Roberta Underwood has a gift for storytelling. 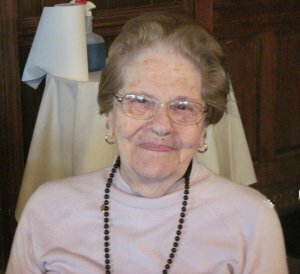 In her December 1, 2011 interview, she talked about her early life on her parent's farm, artistic and literary neighbors, a life as a teenager in the war years, and the independent-minded community which started the Bluemont Fair. NOTE: Roberta McCarty Underwood, 89, of Berryville, Virginia, died Thursday, November 20, 2014. Join, contribute, or shop online using PayPal! Join or contribute using U.S. postal mail. 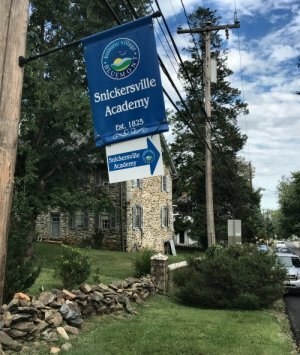 SEE STORIES ON 190TH ANNIVERSARY of Snickersville Academy in LEESBURG TODAY (May 5, 2015) & PURCELLVILLE GAZETTE, (May 15, 2015). 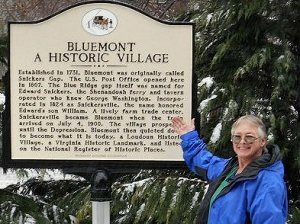 Read about the HISTORY of Bluemont! Find ALL our stories from past years. 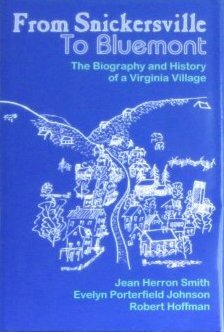 From Snickersville to Bluemont: The Biography and History of a Village by Jean Herron Smith, Evelyn Porterfield Johnson, and Robert Hoffman. 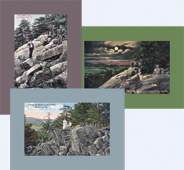 Featuring 3 scenes of Bears Den based on antique postcards. 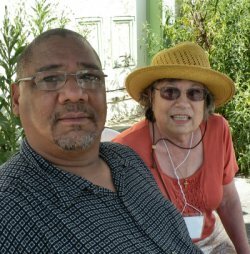 In 2009, Friends of Bluemont launched a new project—“If This House Could Talk” —to spotlight homes or other buildings of the Bluemont area – houses up on the mountain, down in the village, and nearby. We will be taking photos, collecting stories, and scanning historic photographs and documents.